Will Amazon's latest delivery option raise insurance rates? Will Amazon’s latest delivery option raise insurance rates? 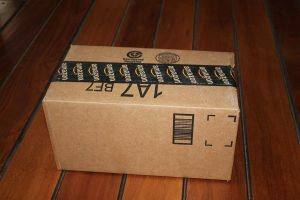 A new wrinkle in Amazon delivery could mean higher homeowners insurance costs. Apps and smart locks from Amazon.com and Walmart could lead to higher homeowners insurance rates, experts say. At least, it would be wise to ask Boca Insurance agencies Seeman Holtz Property & Casualty about the services’ effects. As technology advances, he said, policies will have to catch up, and that could mean rates will go up. The AIA is a property-casualty insurance trade organization representing about 320 insurers that write more than $125 billion in premiums each year. Whittle said that as more people adopt the smart lock technology, and people are able to enter a home when the homeowner is not there, carriers will need to wrestle with all sorts of liability questions.